Understanding how users discover your app is an essential part of the app store optimization process. 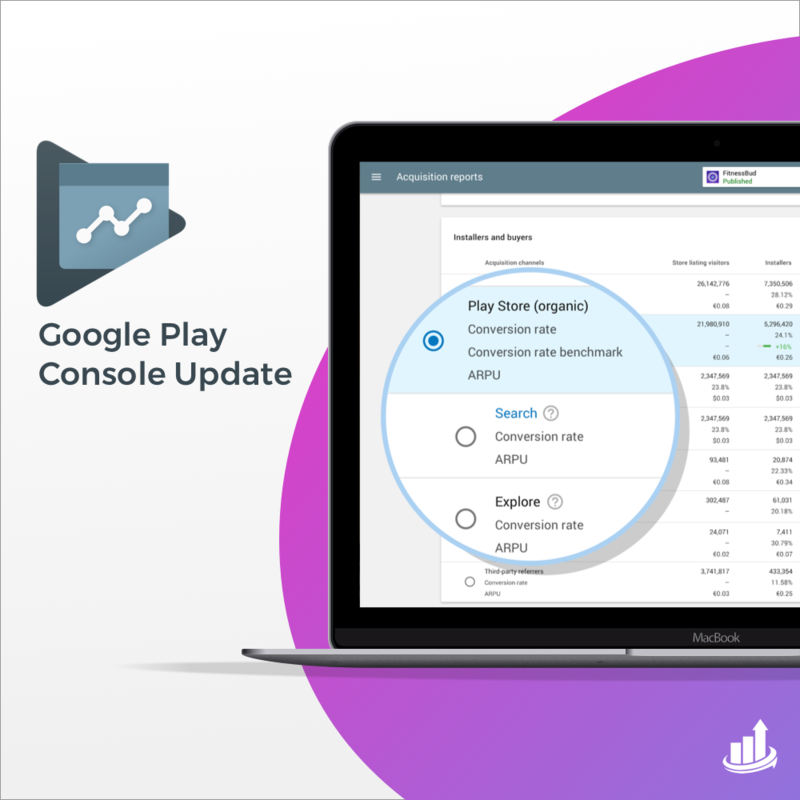 On August 24, 2018, Google announced that they are updating the reports section of the Google Play Console with enhanced information on organic user acquisition! Organic traffic is always the largest or second largest source of app page visits and installs. But until now (or without outside tools), it has been a nebulous bundle of data that was included in user behavior. When you click through on the Search title (highlighted above in blue) you can see the number of users and their unique search terms that led them to your app. Furthermore, you can see which of those search terms attribute to the largest amount of installs! With knowledge of the specific terms and long tail keywords driving people to download your app, you can improve your targeted keyword list, enhance your in-app onboarding experience or even evaluate what is working or not working with your marketing efforts. Use your findings to improve your graphic elements as well. Including actual top keywords in your screenshot callouts or video text can help you see a lift in conversions. You can now see information about users seeing previews of your listings (not just your full page). 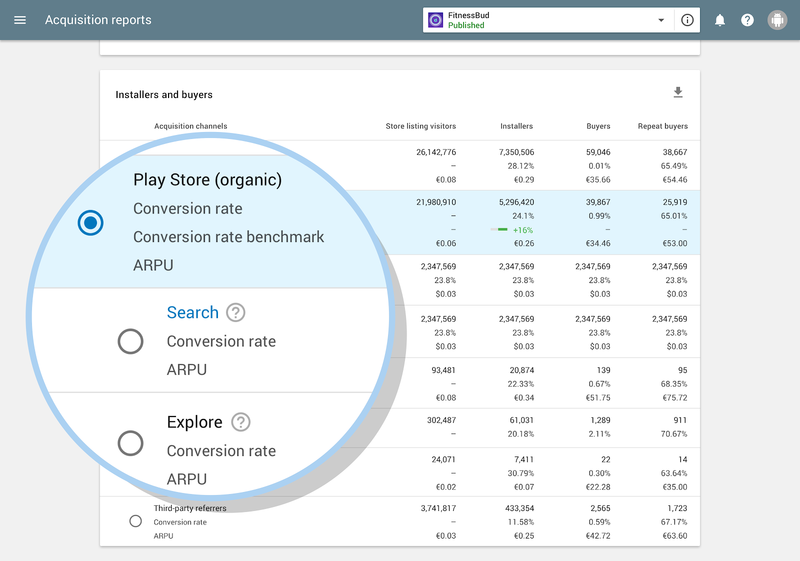 You will be able to see where on the store they saw your preview and by comparing this to your tap through rate will help you make new decisions about optimizing things like your icon, screenshots and video assets to increase interest and TPR. 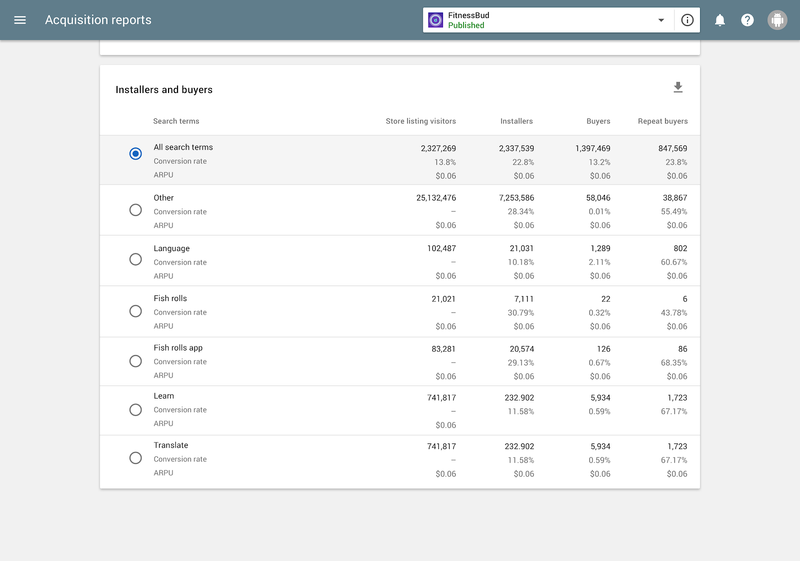 ASO PROTIP: because previews will now be bundled as listing views (previously included in category called “Installs without store listing visits”), you will most likely see your total reported visits and installs increase. Do you need help analyzing your organic traffic? Let us be your nerds! 🤓 We love using data to create custom strategies to boost your app’s organic search visibility. Get in touch today for a free discovery call.